Everyone knows that pressure washing can be beneficial for a property but force is not always the right course of action. While the exteriors of homes and businesses are being blasted clean, there is a more gentle approach sweeping the nation. The practice of soft washing leaves properties sparkling clean through specialized techniques and cleansing agents. Both forms of exterior care clean away stains and bacteria through use of pressurized sprays, cleaners and a little elbow grease. On paper, these services seem similar but a difference in force can make all the difference. Pressure Washing – this service is able to blast away stains and unwanted growth from hard surfaces. Sidewalks, decks, driveways and retaining walls are the prime targets of these sprays. The average electric power washer operates between 1,300 – 1,700 PSI while gas models range from 2,000-2,800 PSI. 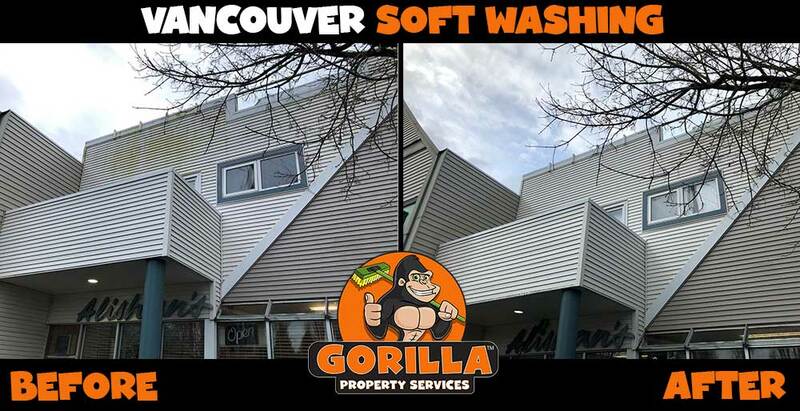 Soft Washing – is used primarily on exterior walls of properties made up of more delicate materials than concrete. Materials like stucco highly benefit from lower sprays, usually ranging around 500 PSI. This alternative method does not require another machine but can be reached with a simple changing of the nozzle on a pressure washer. Taking high pressure sprays to delicate materials can blow away protective coatings and can even cause walls to crumble in certain areas. Low pressure sprays, on the other hand, treat properties safely. These sprays allow water to travel into the cracks and crevices that occasionally complicate cleaning services. A light touch combined with foaming cleansers can make outer areas look brand new again. An improved state can do more than improve curb appeal. Leaving items like algae to grow along surfaces can cause them to deteriorate, leading to premature repairs or replacements. A clean exterior space can also help sell properties for those on the market.